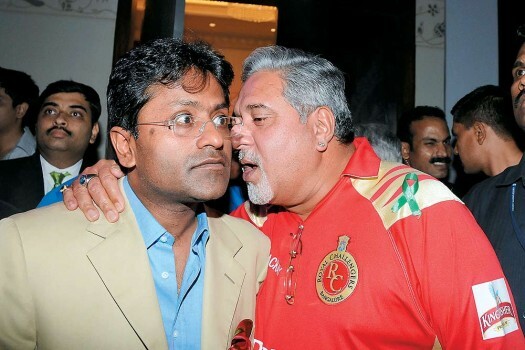 Modi and Mallya during IPL days. They are now together in the UK. 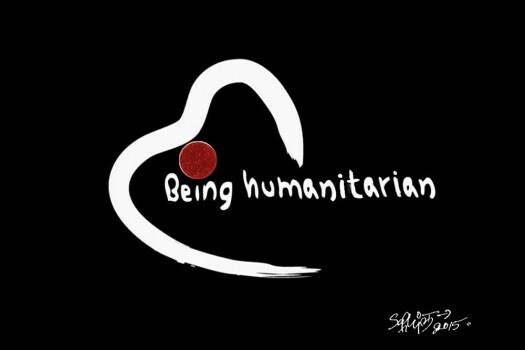 Outlook illustrator Saahil's take on Sushma Swaraj's 'humanitarian' assistance to Lalit Modi. 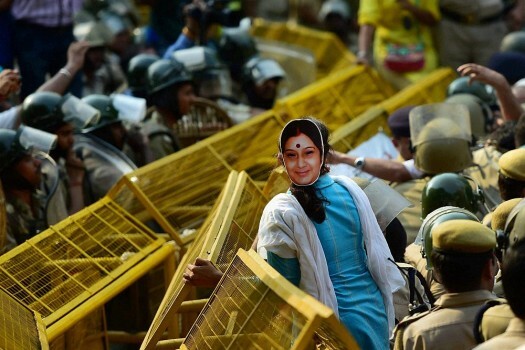 One of the Youth Congress members wears a mask of Union Minister Sushma Swaraj during a protest over Lalit Modi controversy at Teen Murti in New Delhi. 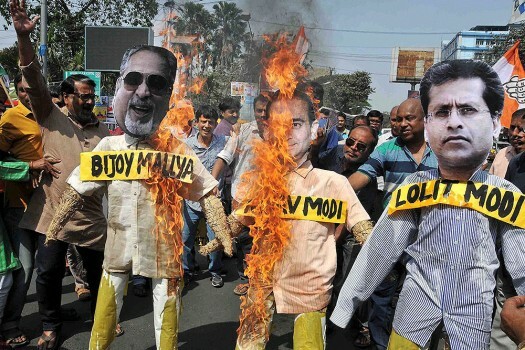 Youth Congress members burn effigy during a protest against Prime Minister Narendra Modi and union Minister Sushma Swaraj over Lalit Modi controversy at Teen Murti in New Delhi. 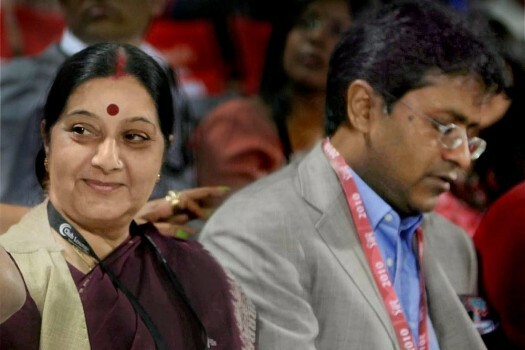 File Photo- Sushma Swaraj with former IPL commissioner Lalit Modi during an IPL match in New Delhi in 2010. 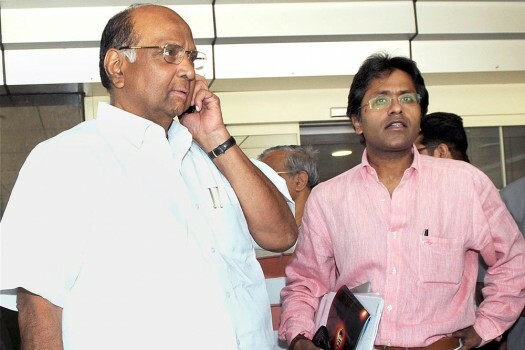 Former IPL boss’s legal team was to cross-examine them on Thursday in a FEMA Act violation case of 2009 IPL, held in South Africa. In its response to the RTI plea, the CBI said it is exempt from making any disclosures under the RTI Act through a government notification of 2011. 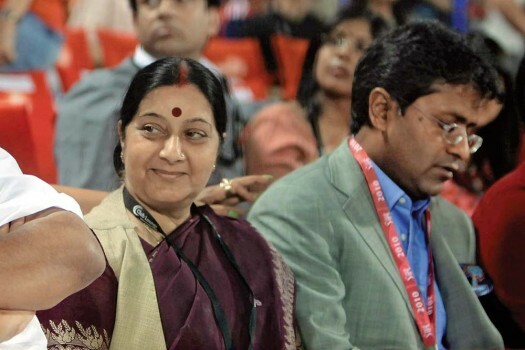 Can Sushma Swaraj Be Trusted? 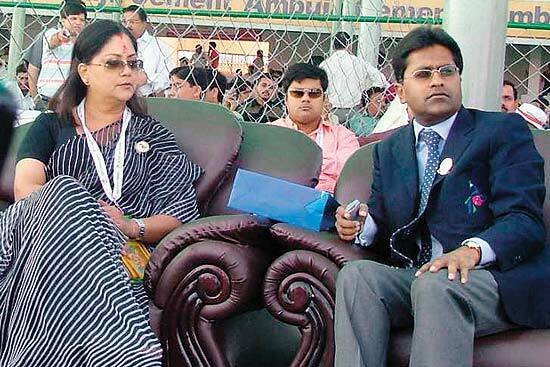 The minister seems to have got away lightly in the wake of her unexplained intervention in favour of Lalit Modi. 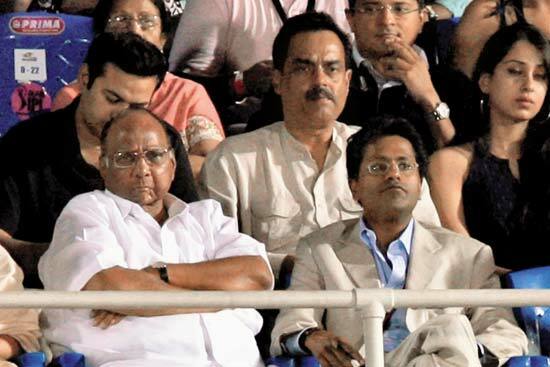 For the corrupt rich, India is hell to live but heaven to loot. They flee after the crime, seldom get dubbed anti-nationals. £5 mn can buy permanent UK residency for wanted crooks. 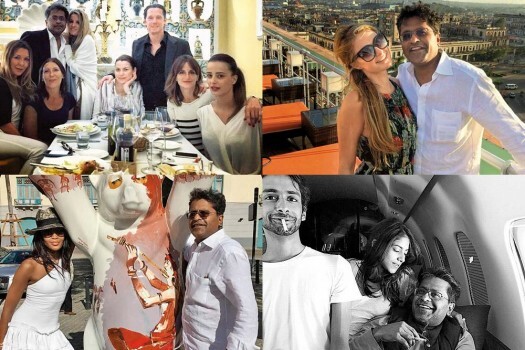 No wonder arms dealer Sudhir Choudhrie, defaulter Vijay Mallya and scamster Lalit Modi live honourably in London. 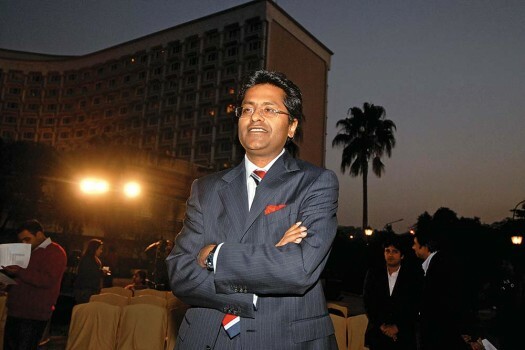 Lalit Modi’s expulsion period from the BCCI ended this week. A return looks tough, and he’s uncertain. There’s a politically charged atmosphere in the room. All the leading reporters of India are babbling excitedly. 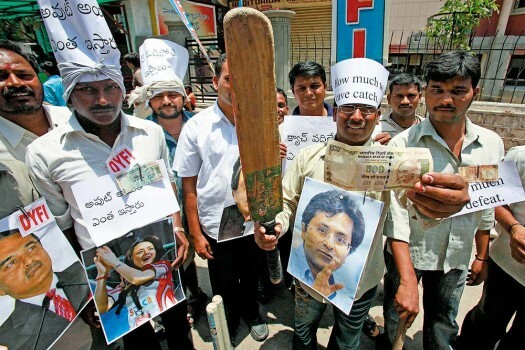 Two of India’s most reputed administrators have called for a press conference. Rumours abound that a new political party is to be launched. 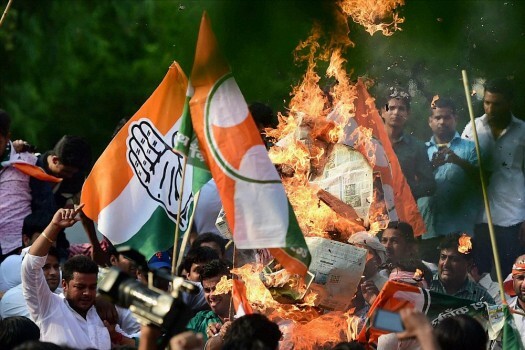 With Congress continuing to have congress with the public, BJP neither helping the Bharatiya Janata nor allowing anybody to Party, and thinking having left all leftist thinkers, the time seems ripe for a new formation. 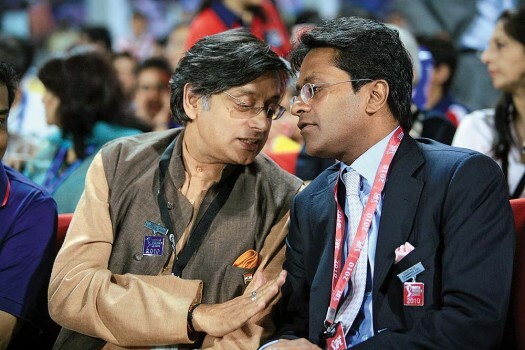 I, Lalit Modi & he, Narendra Modi, have realized that we are India’s most capable administrators. We have, therefore, decided to launch a new political party – Modisattva. The party will work for peace, prosperity & high TRPs. I hereby declare the Modisattva party open. Any questions folks? Reporter : Hi, I’m from the Pioneer, so I’ll ask the first question, heh heh. 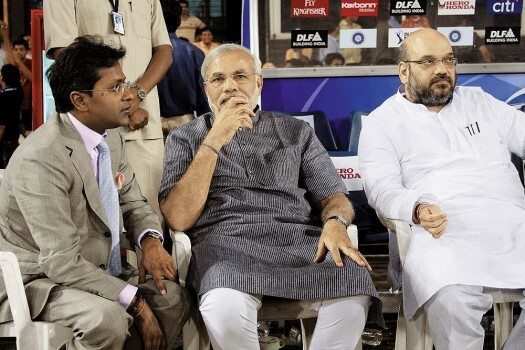 So, Mr. Modi, why have you decided to leave the BJP? 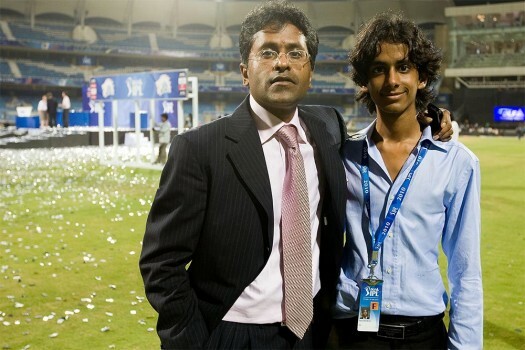 And you Mr. Lalit Modi. Why are you leaving the IPL? 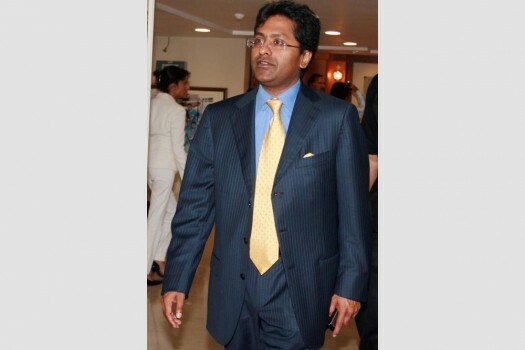 Lalit Modi : As for me, I’ve not really left the IPL. After all Mr. Narendra Modi here is Indian and he wants to be a Premier who’s in a League of his own. So it’s all the same thing. Basically, I’m a Commissioner. Where there is commission, there there is Modi.